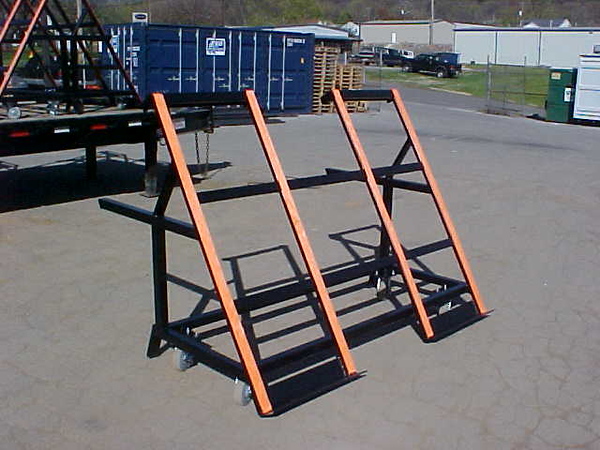 The angled top of this cart is perfect for safely moving slabs from one workd station to another. The top measures 71-3/4" x 57-3/4". Heavy duty casters negotiate even the toughest of floors. The cantilever design allows the table to be used as a work surface and transport cart.